If you've been on my site the past couple of days, you may have realized that The Y.A. 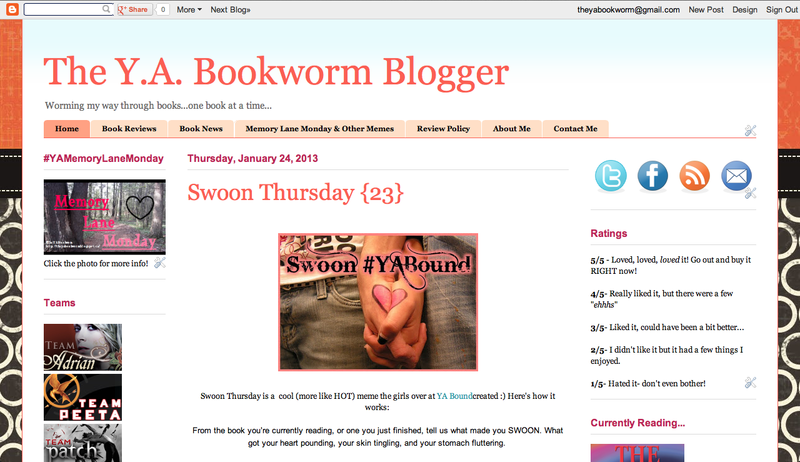 Bookworm Blogger has gotten a new look! 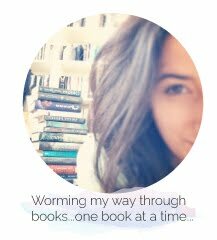 *hoot hoot* For the past couple of months I've been looking at giving the blog a "Bookworm Makeover" and now that it's complete, I have to say that I'm in love with it! I'm so happy with the new look (And have you seen my new linky button?! Can you say, adorable ?!) I feel that as my following here grows, I want this blog to be a professional and fun looking place for you guys to read reviews, check out the latest Memory Lane Monday, and swoon over those killer Swoon Thursdays! Please note I'm still in the process of organizing all my posts into these new taby-thingies, so there may be a few changes in the "organization" department over the next few days! Once again, a huge thank-you goes out to Brooke (you seriously rock my socks)! Be sure to let me know what you think in the comments below! Keep Reading! Your new blog design is adorable! OOh very nice!! I love it! Your new look looks amazing! Great design. I like the new button too! Thank-you to all of you for the lovely comments! So glad to hear people are liking the new design as much as I do! !